I must admit to being rather delighted with my crop of lettuce. To me, the mixture of colours is equally as beautiful any flower bed – with the added bonus that this is edible. It’s my first season growing and to be honest I’m definitely a novice gardener but there is something very rewarding in seeing seed develop to the point that the family can sit down and eat the results. Growing your own is also a fantastic way to cut down on waste. I simply go out and cut the leaves that we need to eat and there are zero air miles involved. To be honest I was fed up with wasting my money on buying lettuce from the supermarkets for it to go limp before I had the chance to eat it all. I’ve got a mixture of lollo rosso, little gem and red and green salad leaves. 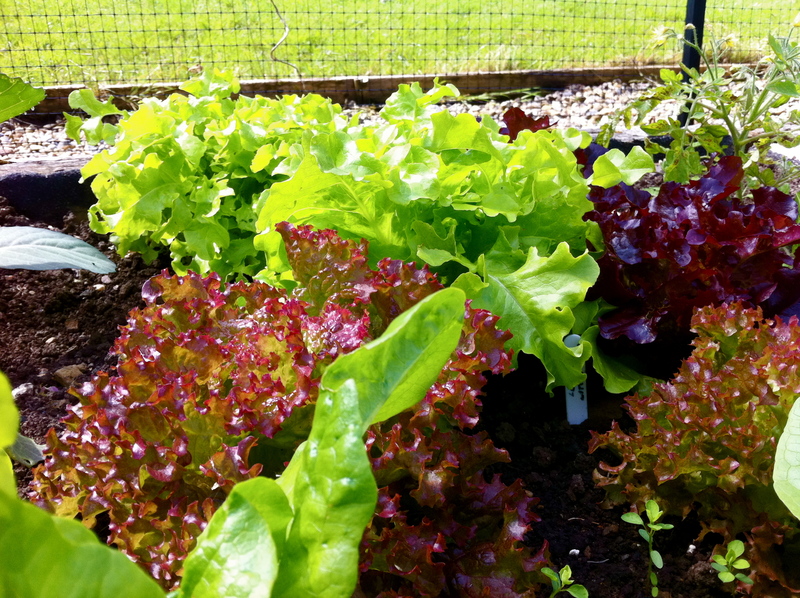 Sowing at different times of the summer and harvesting as you need will mean that there will always be a plentiful supply of lettuce throughout the summer. Oh yes and the most important thing is that it’s not covered in chemicals and it tastes fantastic!